This is absolutely my favourite Roast Beef recipe, simple but effective. Buy a nice piece of beef, entrecôte cut. Make sure that it is quite high and that the fat layer on top is still there. Normally you would take around 1- 1.2 kg for 4 people. 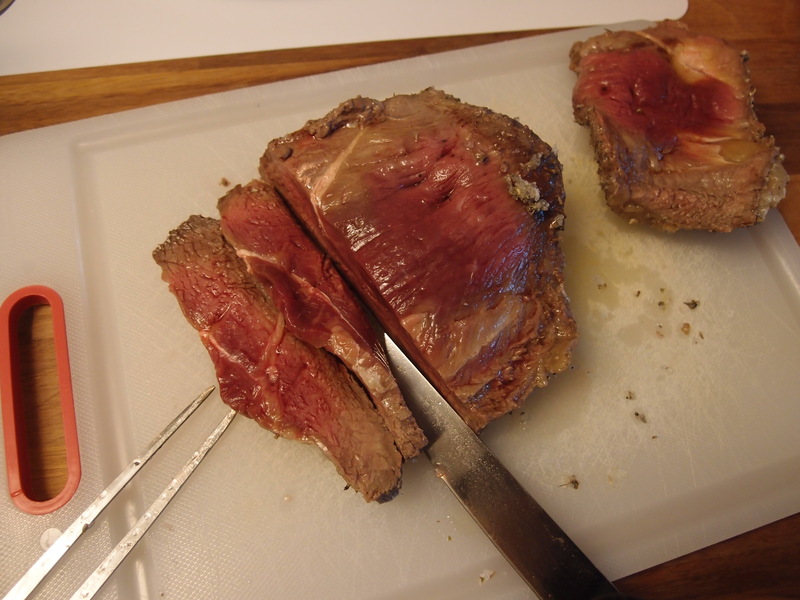 Detach the fat layer but leave it on the meat cut (it will protect the meat from to much salt. Take 2-3 kg rock salt, add plenty of sage, rosemary and thyme (fresh or dried, at your preference). 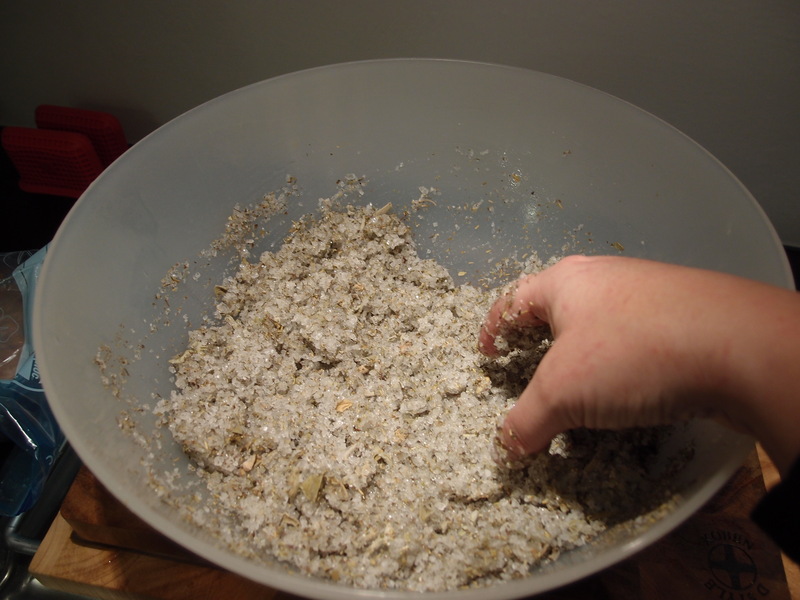 Now you add 5-6 egg white to the salt mix, which will act as “glue”. Mix everything until you have a humid salt/herbs mix. 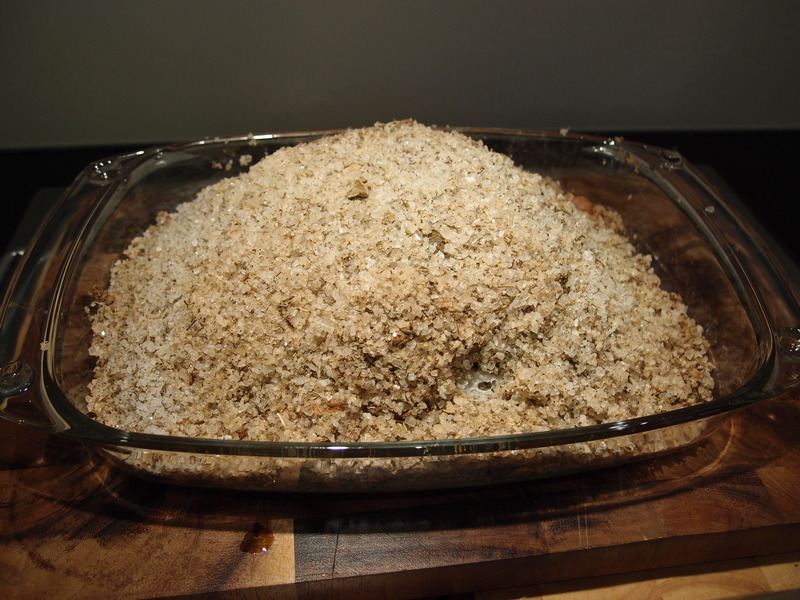 Take an oven pan and put roughly 1 cm of the salt mix on the bottom. 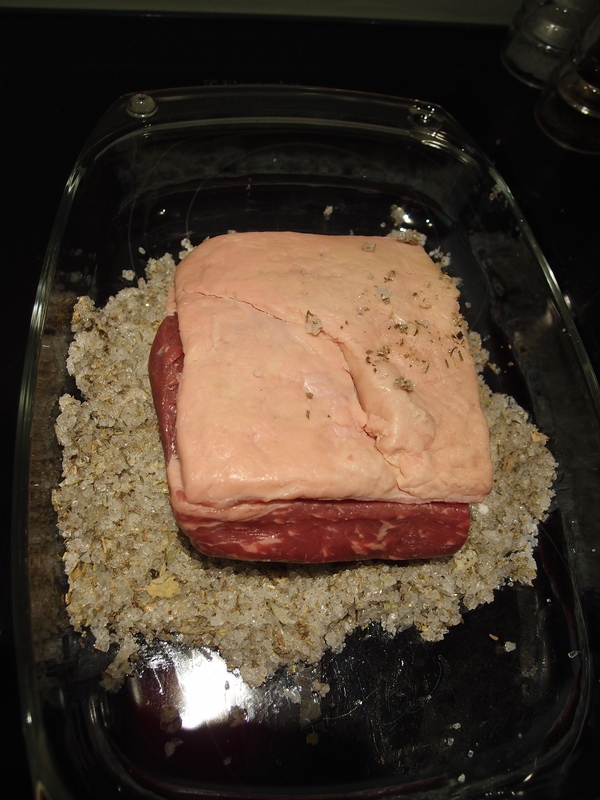 Place the Roastbeef on top and make sure to cover well with the rest of the mix. Put it in a preheater oven at 210 degrees. 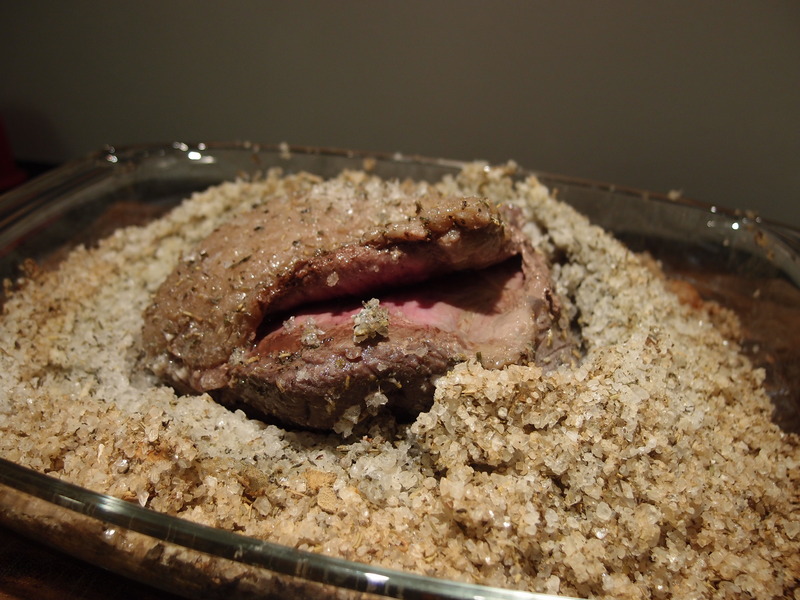 After roughly 50-55 min your roast beef should be ready, a good sign is that the salt cover starts to take a golden color. Just break up the salt crust and serve. 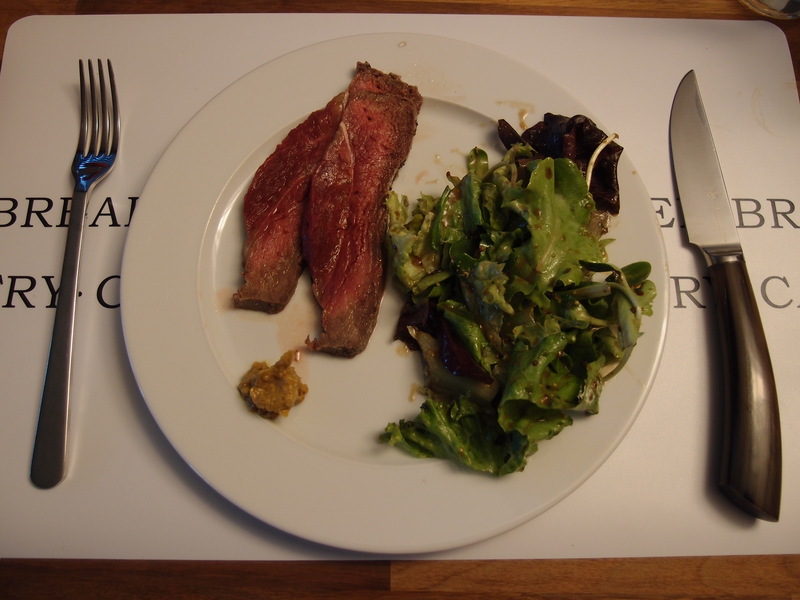 I love it with different mustards (mango mustard, harissa mustard,….) and some grilled vegetables.